Since the earthquake, tsunami, and subsequent nuclear meltdown at the Fukushima-Daiichi nuclear power plant in Japan, we’ve been sold a bill of health. Sure, Japanese officials couldn’t tell us the catastrophe wouldn’t have any effects, but they could exaggerate the potential dangers. And with each passing month, it seems, we are learning just how much they worked to cover the true extent of this ongoing disaster. 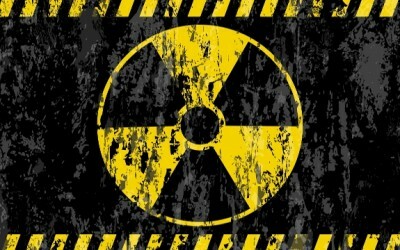 The latest in frightening discoveries is that TEPCO, the power company and corporate juggernaut behind Fukushima, has continually under-reported just how much radiation is leaking from the “storage tanks” containing highly radioactive water. They didn’t just fudge a few numbers or soften the scare-factor by reassuring people with careful language—they downright lied. And they did it deliberately. On September 4, it was revealed to the world that radiation leakage was at a “new high” at the doomed plant, that the water tanks were leaking as much as 2,200 mSv. Just a few days prior, they shook the world by admitting leaks were measured at 1,800 mSv. This marked a dramatic increase in only a few days time. But it was nothing compared to the initial increase. For many months TEPCO told the world the tanks were only leaking 100 mSv, downplaying the level by nearly 95%. So, how did the company go from reporting leaks of 100 mSv to 1,800 mSv and then 2,200 mSv in just a matter of weeks? They bought new radiation meters. As asinine as it sounds, TEPCO was using meters that maxed out at 100 mSv and rather than changing their measurement methodology or buying new equipment, they would just report that radiation leaks were 100 mSv. As Mike Adams at NaturalNews reports, this is like branding a TEPCO weight loss scale that maxes out at 110 pounds. It doesn’t matter what you really weigh, because whenever you step on the TEPCO scale, you’ll top out at 110 pounds—diet success! (Hardly). TEPCO wasn’t only lying to the world, they were lying to those closest to the disaster—residents and clean-up workers. Those who had been in the facility under the assumption that radiation levels were at 110 mSv are likely dead. This is not an exaggeration—radiation levels of either 1,800 mSv and certainly 2,200 mSv prove fatal after exposure of four hours. With this admittance, we have to wonder what else TEPCO is lying about. If they didn’t protect workers charged with cleaning up the corporate mess, how can we expect them to protect people in Japan, or throughout the world? There is so much radiation being released into the Pacific in the effort to prevent more of a meltdown, that I really think it would be better to simply let the fuel continue to melt and collect deeper into the ground where it would be far less trouble. Am I missing something? Where is the melting fuel? In the food chain – ask the fish.